Climber Don Sarver narrowly escapes death on Washington peak. When Sarver and his team met to divvy up the gear before the descent, he offered to haul the glacier rope. 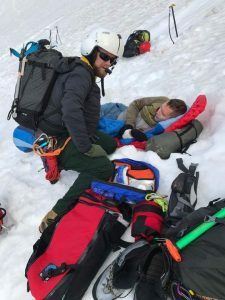 Though the added rope stuffed under his pack’s brain pushed the pack weight well above 50 pounds, the decision would potentially save his life. 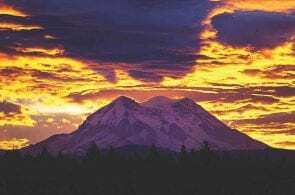 Little Tahoma, at 11,138 feet, is a sub-peak of Rainier and the third tallest peak in the state of Washington. Tahoma is often glossed over as climbers vy for it’s more popular big brother to the west, but is a beautiful climb in it’s own right. 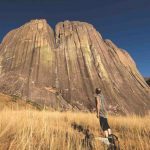 Sarver, a longtime outdoorsman, began climbing in 2016, along with his wife and son. 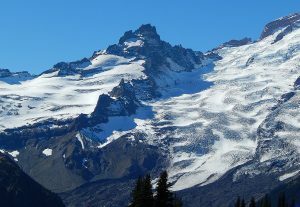 He was on Little Tahoma as his first glacier climb, along with a team of seven other climbers. As the team was making their descent in late afternoon, the snow was loosening, turning slushy after a long day’s heat. 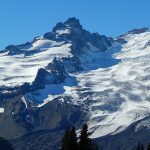 Sarver reported, “My rope lead and two other climbers had reached the bottom of the slope and noticed a large bergschrund [crevasse]” around 10 feet wide, which ran the length of the bottom of the slope. 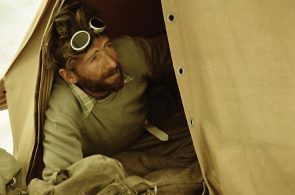 The leaders waved to the rest of the team still descending, Sarver said, directing them to traverse east along the slope towards a rockpile, from which they could safely descend to avoid the schrund. 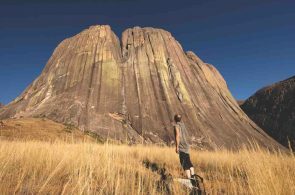 Sarver, who was in the rear of the group, was still around 75 feet from the safety of the rockpile, making his way along the steep slope, when he began to get nervous. A few seconds later, however, Sarver had a change of heart. He thought, “If I’m going out, I’m going out fighting to the end,” and dug his feet and axe back into the snow. Miraculously, as he hit the gap at the edge of the bergschrund, his crampons caught on the ice at the edge, flipping him over the gap headfirst. 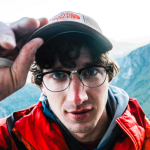 He cleared the gap, but “I was looking straight at an incoming giant rock, right below the lip of the other side of the bergschrund,” Sarver said. 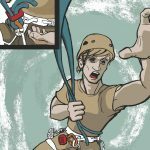 Luckily, the brain of his pack–the glacier rope adding bulk up top–smashed into the rock instead of his head, carrying him just over the lip of the bergschrund, where he landed in the snow on his stomach. Sarver had lost his axe at this point, but managed to bring himself to a stop around 100 feet past the bergschrund. He remained conscious throughout the entire slide, which was around 500 feet in total. 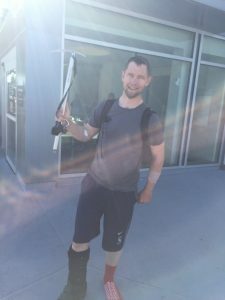 He was immediately aware of a forearm laceration, as well as pain on his right leg. “A rush of emotions came over me at once,” Sarver said. 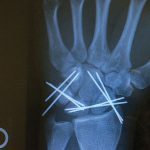 “I was happy to be alive, stunned to have cleared the bergschrund, upset that my arm had a serious laceration but just … really happy to be alive.” His team reached him quickly and was able to call in a rescue. A chopper from Mount Rainier Ranger Station arrived shortly, and Sarver was airlifted out via long line.